A well-designed veneer does not make your tooth look larger – unless you want it to. Dental veneers in Ladera Ranch can correct many cosmetic dental problems and is a minimally invasive restoration. During the placement of some porcelain veneers, an extremely thin layer of enamel is removed from the tooth. If you have teeth with damage, discoloration, an irregular shape or minimal to moderate misalignment, you have several dental remedies to choose from. Don’t worry if you feel that dental veneers in Ladera Ranch seem to have more cons than pros for you. You have alternative options. We can analyze your smile, your needs, and your goals to develop a perfect plan. At Hales Parker Dentistry we have been improving smiles since 2013. We’ve scheduled Las Sorres patients for cosmetic, general, and sedation dentistry. We’ve served patients from San Juan Capistrano with Laser Dentistry. We’ve performed popular procedures, like CEREC one day crowns, for our patients in Mission Viejo. And we can advise all of our patients on any restorative, preventative, or cosmetic procedure in which they are interested in. 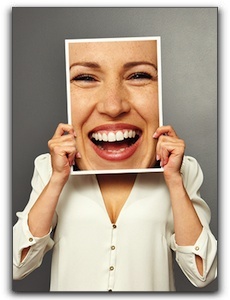 Ask us about invisible braces, the cost of a dental bridge, or dental veneers in Ladera Ranch. We never want our patients to wait a long time to see the dentist and we prioritize our patients’ needs. Dr. Lincoln Parker’s team schedules carefully so we can keep your consultation convenient, pleasant, informative and thorough. Our staff is always friendly and equipped to do every procedure right the first time. Call our office today to schedule a consultation or leave us a message on our website!